Im interested to see what the vibs will be like with this mount in combo with my lower Cobb mount. I will say this they are a bit more than I expected......... idle and take offs are something to get used to. Thanks, yeah I expect initial break in period to be rough, then after just be noticeable but not teeth rattling, hopefully I can get it installed before FF, a nice 1000 miles of highway driving for break in period. 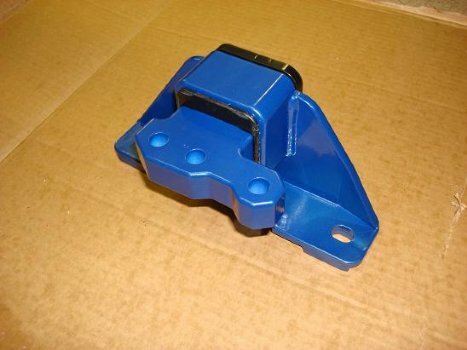 Do you have a blue metallic mount with a black bushing that would be ready to ship? Got a pic of the blue metallic mount? Yes, mine still vibrates a bit at idle, and on take off and low RPMs (below 1500-ish). Above that it's not bad, though. We have 2 left on this first batch not spoken for. They should hopefully ship this week if all goes as planned.